While major labels continue to offer solid recordings of standard repertoire (Leonidas Kavakos and Enrico Pace's Beethoven sonatas for Decca stand out among them), the most provocative and fresh new products in classical music are coming from more versatile and independent labels and ensembles. Despite the removal and merger of many categories in 2011, the Recording Academy's nominations for the 2014 Grammy Awards represent more of the exciting innovation happening in the classical music world than ever before. 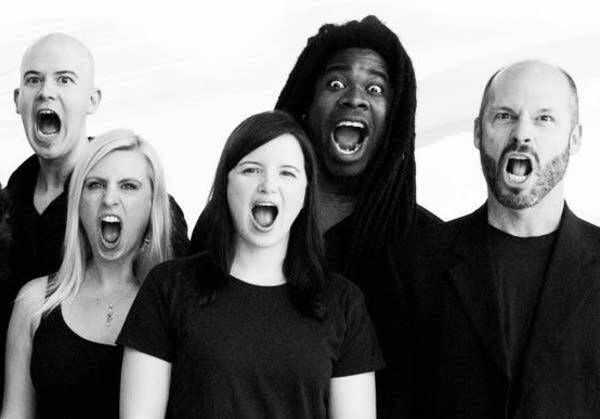 If the category for Best Classical Crossover Album had not been eliminated in 2011, Roomful of Teeth's eponymous debut album, released by the composer-led New Amsterdam Records, would be a strong favorite. In the new Grammys landscape, the genre-defying vocal ensemble has three nominations to its name, including Best Chamber Music/Small Ensemble performance and Best Engineered Album. Teeth's versatility is on full display, incorporating styles of many seemingly incongruous vocal traditions (think Bjork meets Ligeti meets yodeling) into their unique identity as an ensemble. Many of the pieces on the album were written by members of the group, most notably Caroline Shaw's Partita for 8 Voices, a powerful, inventive work that received the 2013 Pulitzer Prize in Music as well as a nomination for Best Classical Composition. Perhaps the most thrilling record of 2013 is not on CD but a USB drive: MicroFest Records' debut release (catalogued as MF 1) is a performance of John Cage's The Ten Thousand Things, a work conceived during the height of his exploration of the ancient Chinese text I Ching. Cage writes that The Ten Thousand Things is not strictly a composition, but a series of works that can be played simultaneously in any combination, "a large work which will always be in progress and will never be finished; at the same time any part of it will be able to be performed." Each of these extraordinary works, two for piano, one for a string player, one for a speaker, and one for percussion, are expertly performed in a live recording on CD, yet the real treasure of this album is the "I Ching Edition," a piece of software loaded on a USB drive that allows the listener to experience these works in any combination of their choosing or at random, allowing for endless combinations and permutations as Cage intended. During the course of the 488-day lockout, the Minnesota Orchestra was nominated for Best Orchestral Performance twice — first for their recording of Sibelius's 2nd and 5th Symphonies in 2012, and again this year for their stellar offering of his 1st and 4th Symphonies. This time around they face stiff competition with a Rite of Spring from Simon Rattle and the Berlin Philharmonic, a recording that stands out among the multitudes of Rites this year; and a fresh, energetic reading of Schumann's 2nd Symphony by the late Claudio Abbado and Orchestra Mozart. Even though their nominations are for the musicians' work as the Minnesota Orchestra, the musicians' continued relevance and active concert schedule during the lockout demonstrates the growing power of independent, artist-led organizations. The 56th annual Grammys will be awarded this Sunday, January 26, at Staples Center in L.A. The ceremony will be broadcast on CBS from 7:00-10:30 p.m. CST. Matt Beckmann is a freelance cellist based in the New York City area.